M uffins are something that I just bake anytime. There is no time or day or muhurat that I need to plan to make.. This muffin was a result of staying awake with my lil one late nite.. Lil V slept late evening.. and before I wud hit the bed ,he wakes up at 11.30pm … Oh oh…. I wud have been a bit upset generally if tat happens… But this new year , just decided for myself to get a little more patient. Spent the next 2 hours cleaning , playing and baking this delightful muffin at 1 am . Loosely adapted from the book 1 Mix,50 Muffins. I have altered wee bits to suit my flavours .Above all halved the amount , jsut perfect to make 6 Muffins. Preheat the oven to 200 C. Line the muffin tin with 6 paper cases. Lightly beat the egg in another bowl , then beat in the milk , oil & vanilla extract. Make a well in the centre of the dry ingredients and pour in the beaten liquid ingredients. Stir gently until just combined. Do not over-mix. Spoon the mixture into the poured tin upto 3/4th of the case.Bake in the preheated oven for around 20 min until well risen and firm to touch. Check with a skewer inserted comes out clean.. Allow the muffin to cool for 5 min onto a wire rack and serve warm with Tea . 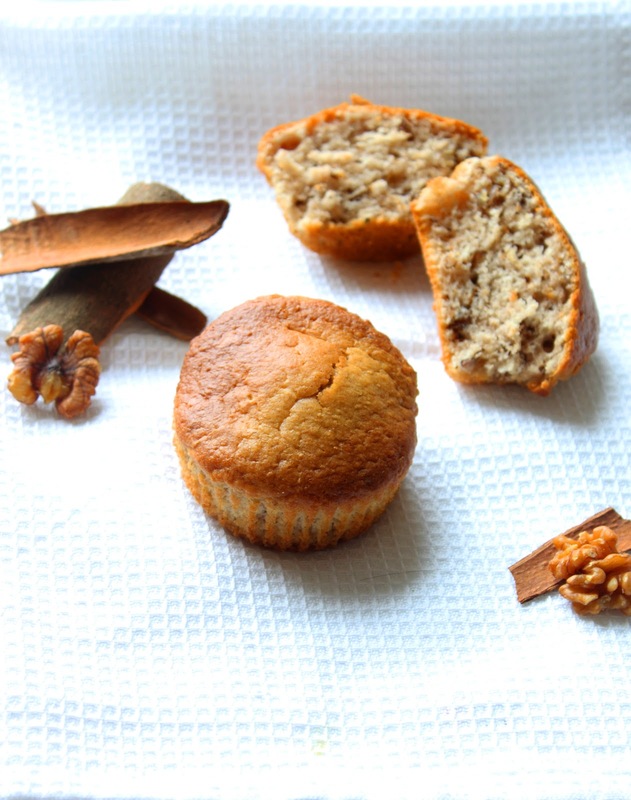 Chocolate Chip Muffin | Yet another one..
Cinnamon & walnuts, a heady combo for these cute baked goodies. Cinnamon is my fav Spice!!!! Muffins are very inviting!!! Cinnamon & walnuts great comb.Nice clicks. 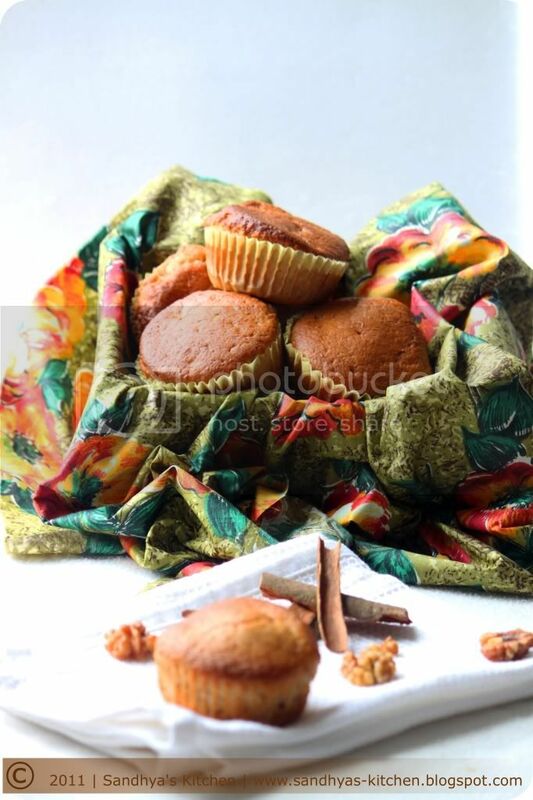 they looks so gorgeous..wish I could take a bite now..
wonderful looking muffins…and what a heavenly combination…the pics are so wonderful not only in this post but all the previous recipes as well..will be a regular here..keep rocking. 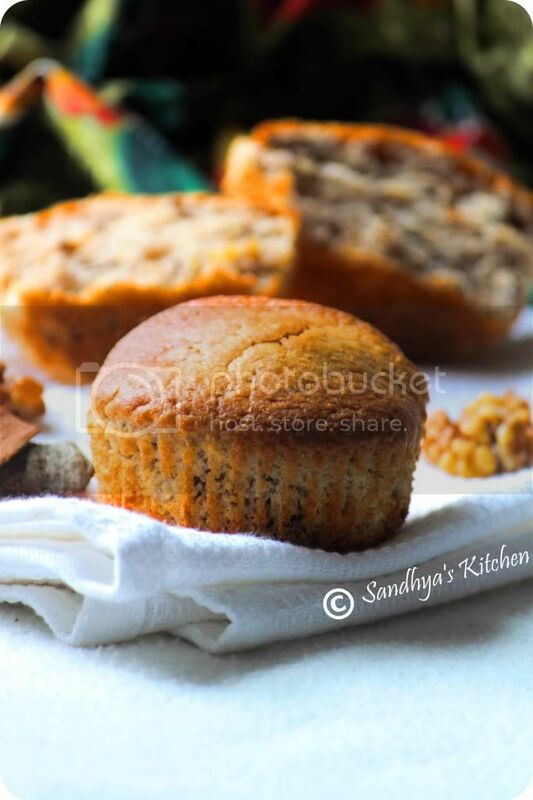 A very flavorful combo…Delicious muffins!! 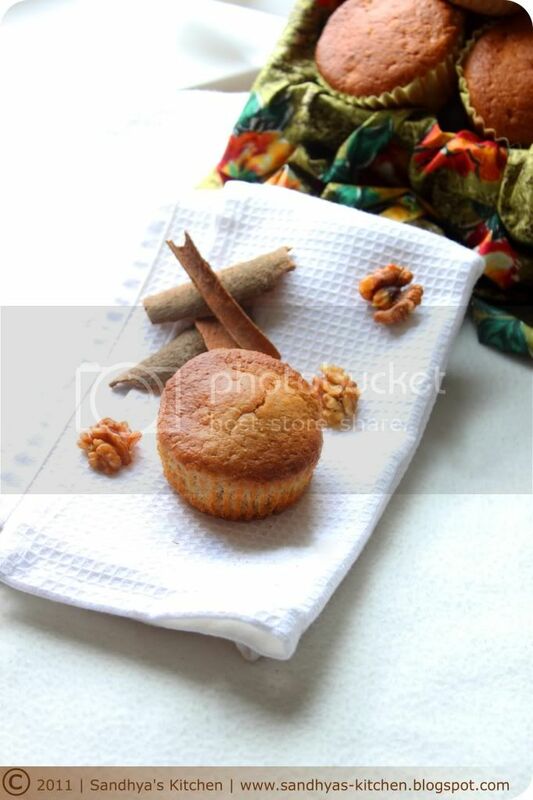 Scrumptious and damn pretty looking muffins..
love the cinnamon flavour in baked goodies. this look very soft. lovely dish with lovely flavor! Ha ha ha…your baking hrs made me LOL:) Muffins look perfect. Tried them using Flax Seeds, Came out great!!!! Cinnamon is my fav spice, Walnut my fav nut, you see where this going right? Awesome! I think I can really smell the cinnamon from here. It really looks so delicious and nice!